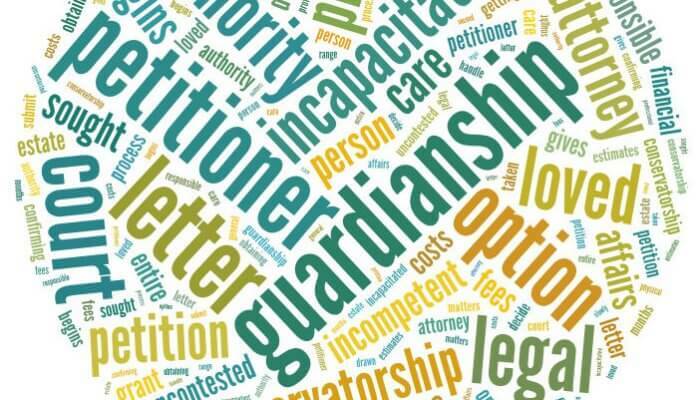 How do I apply for Guardianship in Brooklyn and do I need a Brooklyn Guardianship Attorney to help me do it? Before you apply for adult guardianship in Brooklyn, New York, review the Kings County Guardianship website and consider whether you want to retain a Brooklyn guardianship attorney. Click Here to visit the Brooklyn Guardianship Website. This website contains useful information and some frequently asked questions. Adult guardianship pursuant to Article 81 of the New York Mental Hygiene Law is typically obtained with the help of a Brooklyn guardianship attorney. To apply for Guardianship in Brooklyn, you, alone, or with the assistance of your Brooklyn guardianship attorney, will need to prepare a Petition, an Order to Show Cause, and a Notice of Proceeding. Click here for Brooklyn Guardianship sample Forms. Use the Petition as an opportunity to tell your story. The Verified Petition typically sets forth the AIP’s functional limitations and the reasons that the Petitioner believes that a Guardian is necessary. After the Judge signs the Order to Show Cause, the appropriate papers have to be distributed among the various parties. In Brooklyn, the documents are filed by first going room 285, the Guardianship Clerk’s office. The Guardianship clerk will review the papers, ask you basic questions, then send you downstairs to the County Clerk’s office (room 185) to pay the filing fee. After you have paid the filing fee, you should go back upstairs to Room 285 and submit the papers to the Guardianship clerk. Once you have filed your papers, they will be reviewed by the Court. There are presently two Judges in Brooklyn who focus on Guardianship proceedings. There are a few other judges who handle some guardianship cases on a part time basis. However, the two Judges that predominantly handle guardianship proceedings are Judge Ruchelsman and Judge Ottley. Once your case is assigned a Judge, the Judge will sign an Order to Show Cause. In Brooklyn, the Judge will very likely appoint a Court Evaluator and Counsel for the Alleged Incapacitated Person. Those two individuals will conduct an investigation to help gather all of the evidence and be the neutral observers for the Court. Click Here to Learn More about the Role of a Court Evaluator. The Order to Show Cause will set forth a “return date.” This is the date that everybody has to come back to Court to have a hearing on whether or not a guardianship is necessary. The Petitioner has to prove, by clear and convincing evidence, that the AIP needs a Guardian. The Petitioner presents their case first. After all sides have presented their cases, then the Judge will set forth their findings on the record. The Judge will then ask that a party (usually the Petitioner) settle the final Order and Judgment. The person settling the Order on Notice should then get the transcript from the Court Reporter and should prepare a notice of settlement, with proposed Order and Judgment. Click here for a Sample Brooklyn Guardianship Order and Judgment. There are also a list of Collected Cases for you to access. Click here for the collected cases. Guardianship is discussed in greater detail in the my blog but please feel free to also consult a Brooklyn guardianship attorney for more information. My goal is to simplify your life and assist you with your endeavors. Please feel free to contact us at your convenience to discuss your guardianship needs.